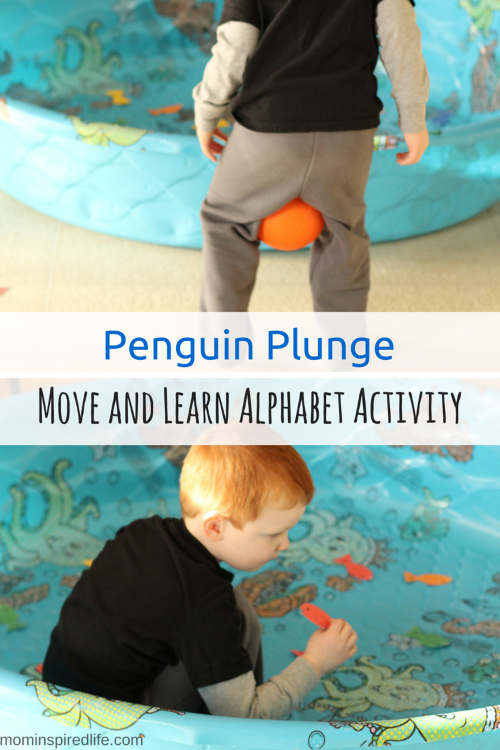 This move and learn alphabet activity is an exciting way to develop gross motor skills and learn letters while studying polar animals like penguins or polar bears. The Playful Preschool team is so excited to continue bringing you fun and engaging lessons for your preschooler in 2015! We are so glad to have you following along and implementing the lessons we share. This week our theme is polar animals! The team has a lot of great lessons planned for you so don’t forget to check them all out at the bottom of the post. 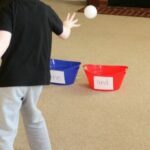 We have been doing a lot of move and learn activities with a winter theme over the last few weeks. Evan had a blast climbing a snowy mountain to count and collect snowflakes, ice skating indoors while learning letters and throwing snowballs at letters on the wall. So this polar plunge activity was a great addition to our activities! 1. Print several sheets of the fish. I printed out enough to have a lowercase and uppercase fish for each letter. However, before I began the activity I realized that was way too many and Evan would lose interest. So I just did about half of the alphabet. 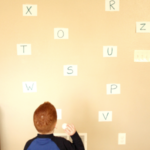 You could do the letters your child is working on right now or the ones they still need work on. 2. 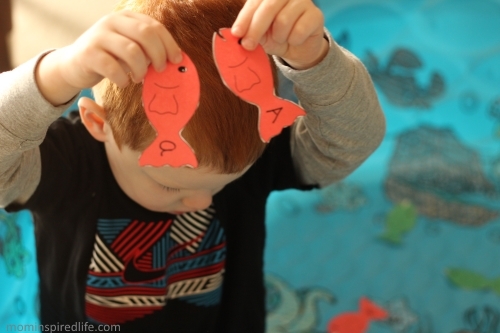 Cut out the fish and write an uppercase letter on one fish and the lowercase match on another. I used the same color fish for the matches. 3. 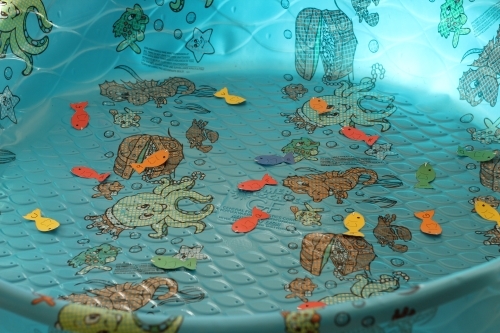 Spread the fish out around the pool. If you don’t have one you could place them in a bucket or bin. 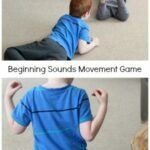 Show your child how to place the ball between their knees and walk. It looks like they are waddling like a penguin. 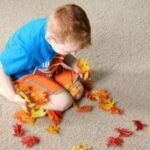 If your child has never done this before, you should give them some time to practice. I then explained to Evan that he was pretending to be a penguin. 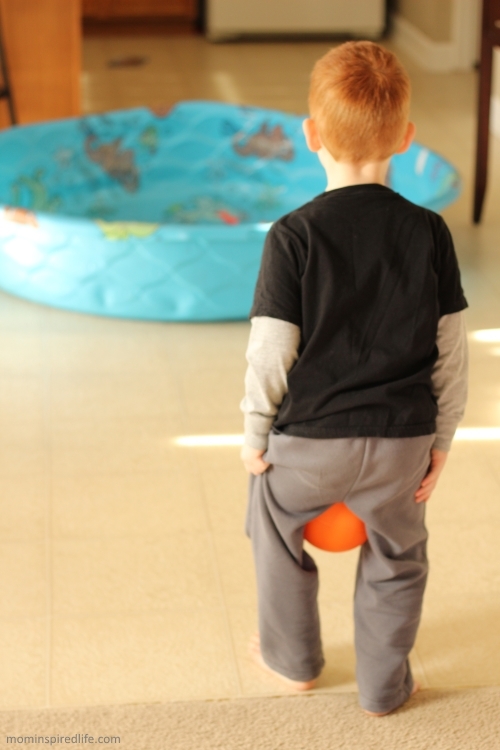 He was going to start in the living room and walk with the ball between his legs until he reaches the pool. Then he would drop the ball and get in the pool. I would call out a letter and he would search around for the fish with that lowercase letter on it and the fish with that uppercase letter on it. 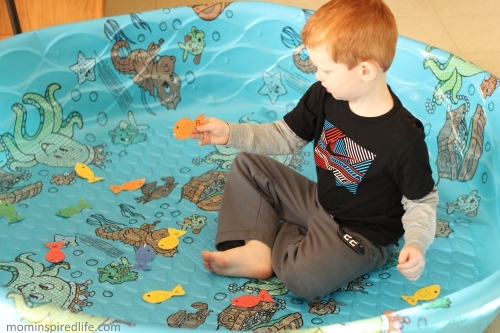 This continues until all of the letter fish have been found or until your child loses interest. Evan thought it was so funny when he was walking around with the ball between his legs. 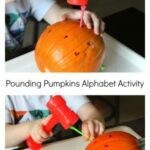 It was actually quite a challenge for him and ended up being great for his gross motor development as well. 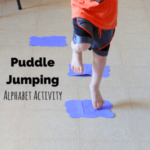 Check out all of the other polar activities from the Playful Preschool team below!